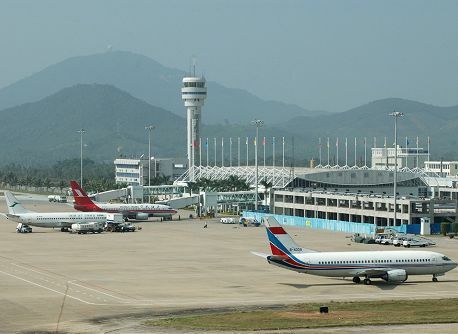 As of Nov 30th, 2010, the passenger traffic of Sanya Phoenix International Airport has hit 8.37 million, which has already exceeded that of 2009, and the number of domestic and overseas flights has reached 63,259. It’s the first time that the annual passenger traffic of Sanya Phoenix International Airport has hit 8 million. Since Oct, the Sanya tourism industry was severely affected by stormy weather, and the passenger traffic of Sanya Phoenix International Airport had suffered a decline year-on-year. The record-breaking number was achieved after Sanya Phoenix International Airport’s laboring work of seeking partners at home and abroad. On Nov 9th, Sanya Phoenix International Airport cooperated with the Sanya Government to hold a “Sanya Airline Business and Travel Market Promotion Conference” and promoted Sanya Airlines successfully during the conference. Sanya Phoenix International Airport also tried to explore overseas airline markets by attending the 8th ROUTESASIA and other international airline promotion activities. By the end of Oct, 21 more domestic and international airlines have been added to the Sanya Phoenix International Airport.